“Death is coming your way, and there’s nothing in this world you can do to stop it.” I don’t know about you, but I wouldn’t mess with John Rambo. The mere sight of him wielding a bow and arrow would turn my legs to Jell-O, much less the image of him mounting a .50 Caliber Machine Gun as he did in 2008’s Rambo. I mean, have these bad guys never seen a Rambo movie? Just give up now, guys. Even if you’re the Mexican cartel, who is reported to be the antagonist in Rambo 5: Last Blood, just retire and go grow avocados for the rest of your days. This is not going to end well for you. Rambo himself, Sylvester Stallone, took to Instagram to show off his imposing figure as he takes aim at some unfortunate soul in the below set photo. Of course, Rambo won’t only be defending himself with his compound bow; Stallone confirmed that his huge knife, known as the Heartstopper, will make an appearance in the film. I’m sure that a few guns will find their way into his deadly hands as well, though it will be hard to top that .50 Cal scene from Rambo. 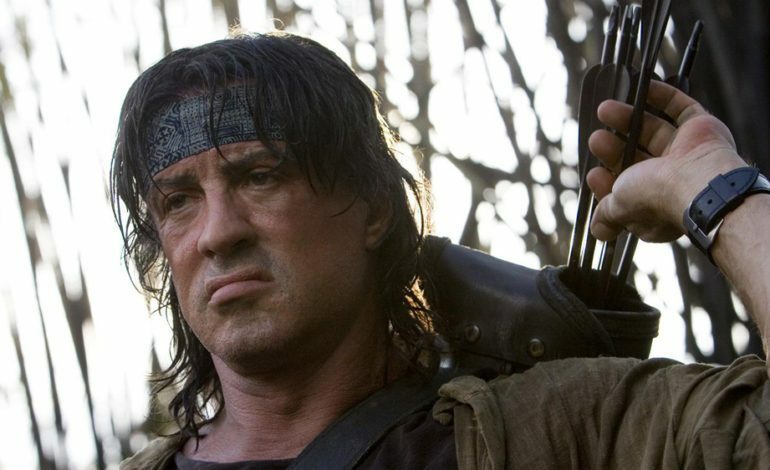 The Rambo in this film is going for more of a cowboy vibe, as he retired from bad-assery to live in solitude, but it’s clear that whatever brings him out of retirement is going to lead to all kinds of death and destruction. This is reported to be Rambo’s last adventure, and the 72-year-old Stallone sounded nostalgic in this quote from the end of filming. Rambo 5: Last Blood releases in 2019. As soon as a trailer drops we’ll nock it, let loose, and hope our aim is true.